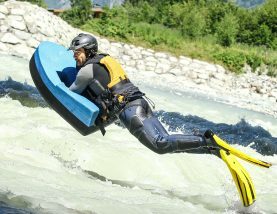 The Giffre lends itself particularly well to white-water sports. 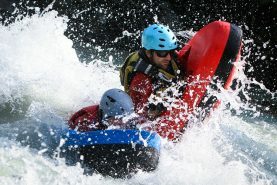 Combining calm and moderate stretches with others that are rapid and foaming, the diversity of this torrent is what makes it so good. 15km trip. 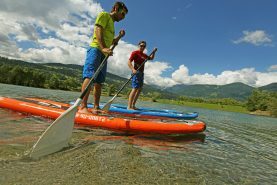 Enjoy guided sessions of Stand Up Paddle on Passy lake and on the river Arve. 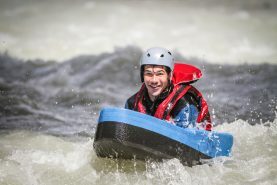 The guides at Ecolorado Rafting will give you all the necessary coaching so that you can enjoy your descent on this beautiful river. 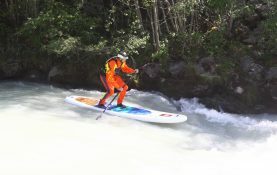 The Giffre lends itself particularly well to white-water sports. Combining calm and moderate stretches with others that are rapid and foaming, the diversity of this torrent is what makes it so good. 10km trip. This is for Sporty types and good swimmers. With your safety in mind we start our 7 km navigation. 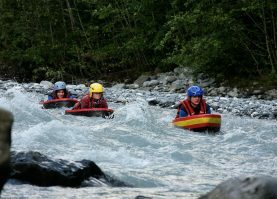 We warm up on the river in Chamonix, passing through the centre and head down river to Les Bossons After the waves get bigger and you will have a fantastic experience as you ‘body surf’ with your float down river ! 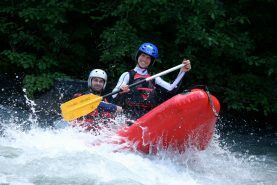 We will teach you navigation techniques and how to swim in rapid waters. The sport of archetypal running waters! Head forward on your sled, the sensations will be it is sure in produce you ! 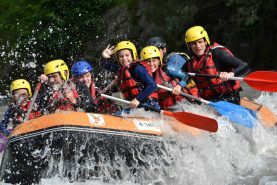 Enjoy whitewater adventures on the Giffre or Dranse rivers. Open to everyone, even beginners (must know how to swim). 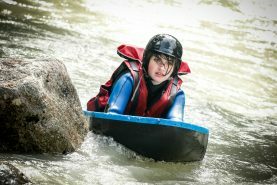 Hydrospeed (riverboarding): swim down a river using fins, a board, and a special wetsuit.